By LUDWIG VON KOOPA - Could be why it's digital download only. 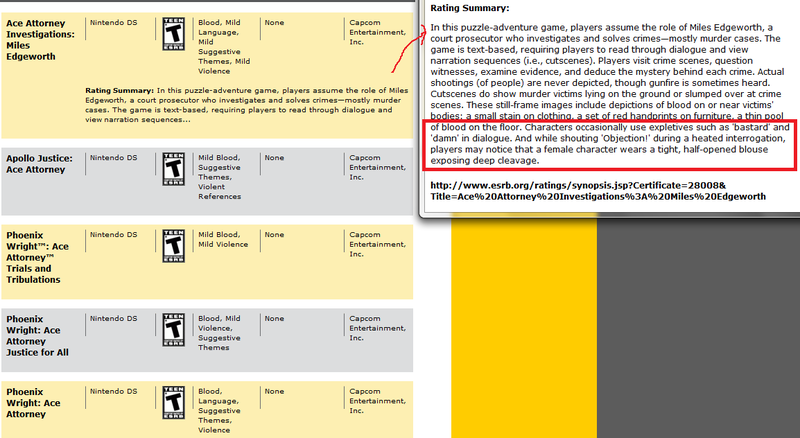 According to Capcom, Phoenix Wright: Ace Attorney - Dual Destinies is rated M in America by the ESRB for "Blood, Violence, Suggestive Themes, Language". Well, the series has always had blood and depicted violence. Phoenix Wright: Ace Attorney had some swears in it, I guess. All of the prior games in the series have been rated T. ...Don't know what "suggestive themes" means. ...Really? That's what "suggestive themes" means? ...Then the entire Nintendo DS ad campaign is rated M! You know. "Touching is Good". Here's a reminder. In any case, making the game a digital download is quite beneficial for any M-rated game, because if you go to a store the clerks are obligated to deny you from buying the game if you don't look old enough. I mean, that doesn't stop Call of Duty from selling millions. But on the Nintendo eShop, all you have to do is lie about your age and you can get any M-rated game you please. Sure there are parental controls, but who really uses those? This makes the game easier to sell. Of course, all of the people who should've been able to get the first several Ace Attorney games while they were rated T should now be old enough to get Phoenix Wright: Ace Attorney - Dual Destinies at M. To see for yourself, check out the ESRB's website. 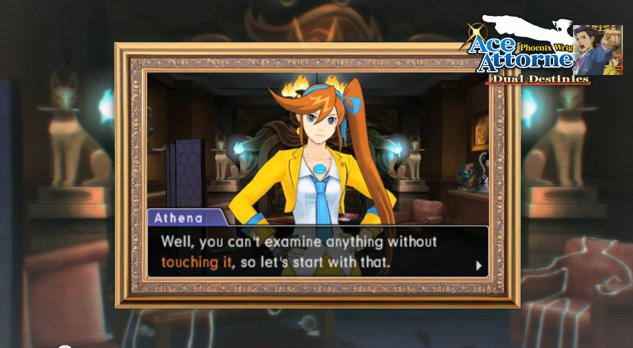 This depicts why the previous Ace Attorney games were rated T. "Mild" suggestive themes means "exposed deep cleavage". So what does plain ol' "suggestive themes" mean? How much farther can you go with cleavage?! It could be harder for new fans of the series to come in, though. Or it could have some sort of appeal to it. Certainly the new graphical style could have a say in this. Notice how "Blood, Violence, Language, Suggestive Themes" are the same exact set of reasons from Phoenix Wright: Ace Attorney. So looks like Dual Destinies is returning to Ace Attorney's roots... as far as the ESRB is concerned, anyway. Ludwig is supposedly old enough to buy M-rated games without being underage, so this doesn't directly affect him. Ludwig corrects himself concerning the eShop's stance on M-rated games here.